This January my message for everyone is simple: get back into the kitchen. If you read my last blog entry you’ll see that I’m not a big fan of diets, especially the post-holiday-super-restrictive-can-only-eat-lettuce-and-ice-chips types of diets. So instead of recommending diets I hope to help you by teaching you techniques and recipes that can be foundations for getting you back in the kitchen. To teach techniques for building healthy habits that last much longer than the short lived effects of harsh diets. 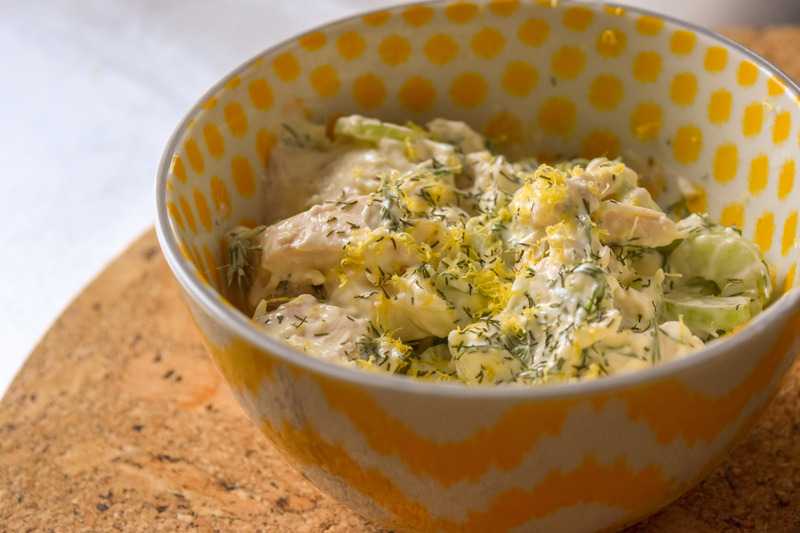 So for this week I wanted to share a very simple recipe for my favorite chicken salad. It’s something we like to keep around the house. So, rather than purchasing pre-made chicken salad try to be better to your body by making it! 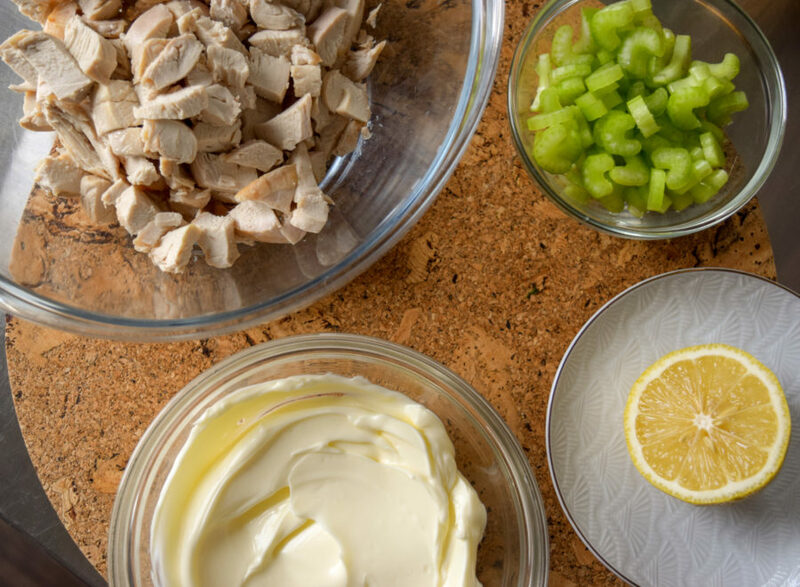 Check out this super easy duo of recipes for two kinds of chicken salad. And if you would rather watch a video rather than keep reading then head over to my YouTube page to watch how to make it. Just click here! The genius behind these recipes is that you can use a roasted chicken you purchase from the store, leftover grilled or roasted chicken or simply roast off some bone in and skin on breasts while you are doing other things around the house (45 minutes at 400 with olive oil and salt will do it!). Then you just add a handful of other ingredients and you have a delicious chicken salad you can enjoy for a couple of days over some greens! Easy, peasy and allergy adaptable. Mix this all together and season with salt and pepper, as desired. 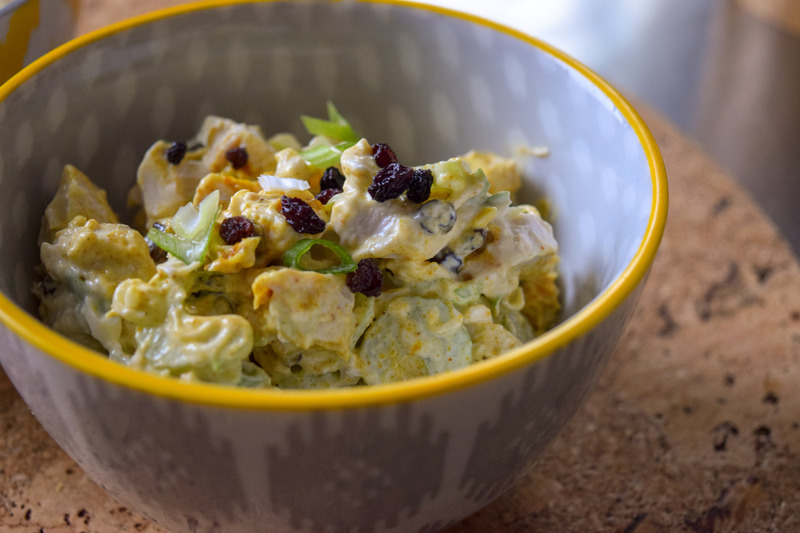 I especially love the curry chicken salad and often find myself enjoying it over some arugula or some chopped romaine lettuce with some toasted nuts or seeds on top. I hope you find yourself making this for yourself or your family instead of purchasing!